Online Writing Jobs and Opportunities. Large List of Options. Writing jobs are one of the most flexible jobs that can be done from home. And many times, even beginners can jump in. 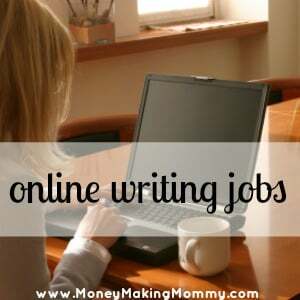 I've made a lot of money through the years through online writing jobs. Some were just small jobs, an article here and there, but some were ongoing jobs with nice paychecks. When I started out, I had no real portfolio – so do not let that stop you. There is enough work to go around for both the beginner and the seasoned writer. Even if you a start out making only $5 for a small 300 word article, it's a step. It also allows you to get feedback and decide if you really like this type of work. Below is a very large list of websites and companies that are looking for both professional writers and new writers. – Though technically not a traditional writing job, Parexel does hire researchers. So this might interest writer-types as well. – New writers and beginners (and seasoned writers too!) — You can bid on writing projects and are paid if your article is selected. – Guides are paid a flat rate, but they can also earn residual pay on their work too. *About.com has been re-branded as Dash. Although they don't have an open hiring page for freelance writers, I am still researching it to see if they do still hire at all. – Higher education needed, think master's degree. Pay varies widely – but you can make over $30 per well written page. – Academic editing and translation. – This site is about renting space – in your home, apartment on a temp basis. They hire writers now and then – not ongoing. – Writing jobs abound, but pay is really low. I've seen assignments paying only $2 for a 400+ word article. But if you need money now – might be an option. – K-12 Science, Social Studies, Math, or ELA Associate. Need to have a Bachelor's degree or higher, item writing experience, and be able to write and respond to requests about 2-5 hours per day. – Proofreaders, copy editors and page formatters will be given a skills test in order to be hired. – Hundreds of assignments to choose from. Helpful suggestions from editors to help you improve your writing. – Post your written articles and they will shop them around for you. – Starting your own blog. – Several writing projects to bid on at all times. – Hiring writers located in the United States, United Kingdom, Canada, and Australia. – Hiring freelance writers that understand SEO basics. – Contemporary prose or poetry written from personal experience for greeting cards. – Hire freelance career guide writers off and on. It's hit or miss when they are hiring or looking for writers. – Freelance writing opportunity. Sometimes they hire editors and proofreaders too. – Now re-branded as LeafGroup, they own sites like eHow that they need writers for. -They typically have a list of current writing opps. -Must email them your resume and writing samples to apply. -Hire writers for their many websites, various topics. -Hire investigative reporters and writers. – Write articles on a variety of topics. Great freelance gig. – Similar to “How-To”. Writers write on topics needed, typically answering some type of question. -Check their job listings for writing positions. There are often some posted there. – Large database job search site for Canadians. Often writing jobs are posted. -Pays per article. Various topics. They are not always hiring. – Researchers and writers needed for research papers. – Lists all kinds of writing opportunities, including poetry. – Bloggers can make money allowing posts on their websites. – Hiring proofreaders with experience. – Hire editors, proofreaders, copywriters. – Editor and proofreading jobs. – Sometimes have freelance writing jobs. – They typically have a list of writing job opps. – Write computer tips. Earn from $25 to $50 per article. – Hiring US-based writers. Pays via paypal. – Always looking for great writing. Pays well. – Appears to needs a lot of medical/health writers. – If you have beautiful handwriting, you could earn cash with this company. – Interview with expert that proofreads from anywhere in the world on her ipad making a full time income of $3000+ a month. She offers a free 7 day course. – A list of 7 sites that many have had success writing for. – Is freelance writing for you? What direction should you go in? – A “getting started” guide for those interested in writing booklets. – Though payment is not the norm, there is an opportunity to get exposure for your work and build your portfolio. 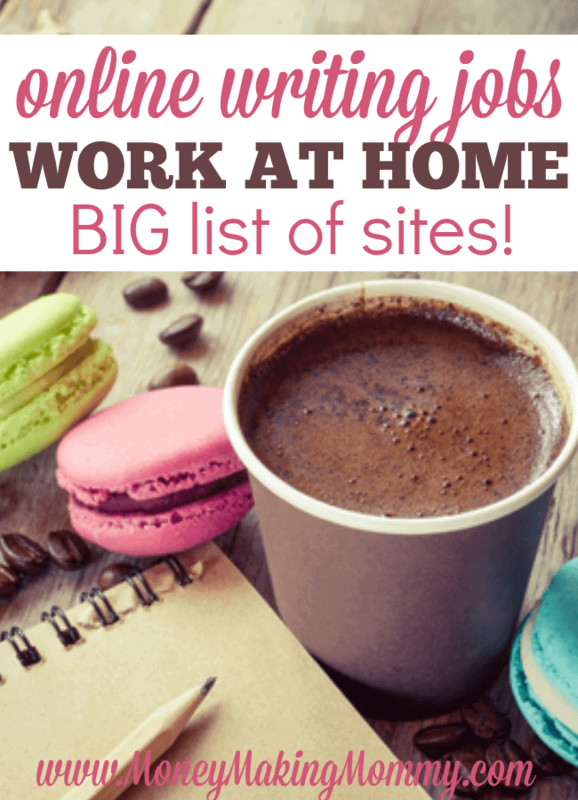 Many want to work at home as a writer, especially those that love to write! If you have earned at home or currently work at home as a writer – whether it was part-time, full-time or just freelance piece work — I'd love for you to share your thoughts and experiences below in the comments section. By doing so, you help others and help make this resource for those looking for writing work even better. Thank you in advance. Article Marketing is no longer located at the URL in the article. Academic Experts is also not hiring. About.com is now dash.com. It is several sites combined under one company. It does not state anywhere on the site that they hire remote writers. Thanks for the list! I tried articles for sale, and I have sold four articles so far. I am going to check out some of these other sites. I enjoy writing and I have been making some good income writing. This is an amazing list! Thank you so much! !